We get a lot of questions about Internet access on the island: and what we are using at our house, whether it’s bundled with land lines, DSL or satellite, etc. Improving Internet speed has been identified as a priority at our annual meeting. There is a group of volunteers working on Internet solutions, and one step in the process was to have a sharing and brainstorming session about what solutions were working well for people. Here are some of the outflows of those discussions. A business model that limits data usage by “throttling” or dramatically slowing down data (to almost unusable speeds). Even when you get an “unlimited” plan from a major, it doesn’t feel unlimited in practice. Cellular resellers are buying data in bulk from the major carriers and reselling it under terms that aren’t available directly to consumers. These new plans offer unlimited, unthrottled, no contract plans. Most also offer brief free trial periods. However, they still have one potential limit — if the cellular tower you’re connected to becomes overloaded, even temporarily, then your service can be “deprioritized.” Effectively your data goes to the back of the line. This might cause a dramatic reduction in speeds, buffering, or even an interruption of service. The providers I talked to promoted the idea that your service would return to full speed as soon as the cell became unloaded. This means that on Memorial Day, 4th of July, Labor Day and other days that attract lots of people to the cellular towers closest to us on IOP and in Mt. Pleasant, our service is likely to be suboptimal. 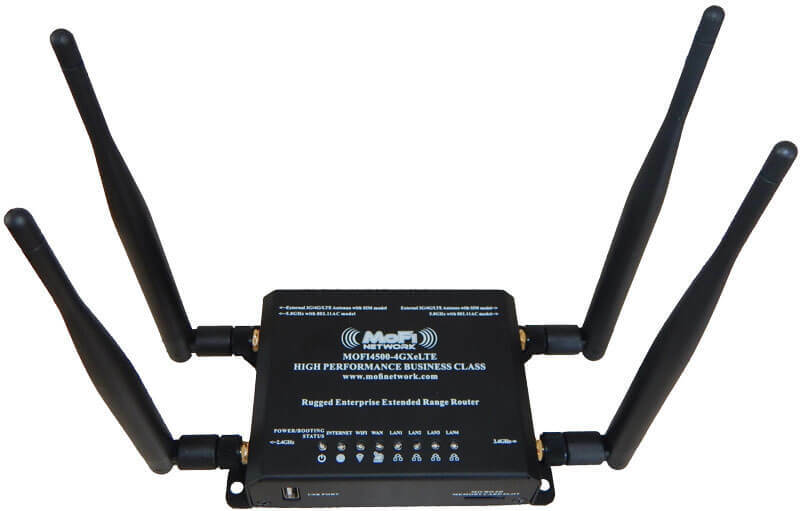 Some of these resellers require you to buy a wireless cellular modem/router from them or a third-party; some bundle the hardware into their monthly fee. Several people on Dewees have been experimenting with plans where the underlying carrier is T-Mobile, AT&T or Sprint. All three seem to work on parts of Dewees. Verizon should also work as many people on the island use it for their mobile phones. But for Internet data Verizon’s plans through these 3rd-party resellers are so expensive (as of 2/13/2018) that most aren’t finding them attractive. The iPad plans limit you to 15 devices whereas the router hotspots can usually handle 32 devices. Either should be plenty of connections for most Dewees household. Instead, the limiting factor will be the overall data speed. Running an iPad hotspot is a little clunkier than a dedicated cellular hotspot. The deals the resellers offer change. So what makes on “the top provider” now might be bested by a competitor later. You can find more options by Googling. It’s highly likely that you can order one of these plans and setup the equipment inside your home on your own. DSL on Dewees tests on Speedtest.net at a maximum of about 1.1 Mbs. Individual results vary based on location, time of day, etc. New Cell Data Plans. It’s early and we’ve only been testing in the off-peak winter season so far. We’ve seen speeds ranging from 5-25 Mbs for both upload and download. DSL on Dewees the signal regularly just “isn’t there”. In many cases DSL isn’t sufficient to watch a movie without lots of annoying buffering. New Cell Data Plans. It’s early and we’ve only been testing in the off-peak winter season so far. We’ve seen speeds ranging from 5-25 Mbs for both upload and download. Generally, the signal is plenty good enough to watch 1 or 2 or more movies at the same time. Gamers still say that some times the signal “fades out” and then “comes back”. In the mean time your game character might have been killed. The first step try is a directional yagi antenna or two and wire them into the back of your cellular modem using ultra low loss coaxial cable. 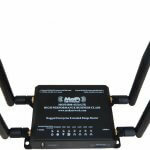 This brings the stronger signal from outside your home into your modem. Several people on Dewees have had good luck with them. The direction you should point the antenna(s) depends on where your home is on the island and which carrier you’re using. There are cell towers on IOP and near the intersection of highways 41 and 17 that you might want to point the antenna towards. We believe the towers on IOP are best for Verizon and Sprint; the towers near highway 41 and 17 are best for AT&T and T-Mobile for most locations on Dewees. If you’re going to use 2 antennas, then they should be set up at 90 degrees polarization from each other. Some experts suggest angling them at 45 degrees relative to the earth and then 90 to each other. At least one person on the far east end of the island is experimenting with a parabolic antenna. We don’t know the results yet. weBoost – examples: Mark P. and Faith S.
The online retail UberSignal has a more detailed description of how these devices work. In all likelihood, you want to order the kit with a Yagi (or directional) roof antenna. The omnidirectional ones are used for RVs and other mobile applications. They can be purchased online from Amazon, UberSignal, weBoost, SureCall and others. The systems come with an inside and outside antenna plus an amplifier and cabling. They require a power source and should be properly grounded to reduce the risk from a lightning strike. You can learn how to install them from online videos and training manuals. Some people may want to employ a professional installer. The devices cost $400 – $900 and I’ve been quoted$700 to $1,320 for installation. I tried to get a group rate, but installers are in demand and I wasn’t able to get anything special. If you do, please let other Dewees owners know. Reed Worrell, Smart Wire Solutions, reed@smartwiresolutions.com Phone: 843.222.WIRE (843.222.9473) — Reed is a coastal SC guy who comes highly recommended and has done work at Marcia D’s house. He’s very busy and sometimes hard to reach. Jake Stack, Powerful Signal 866-912-3444 | Direct: 435-634-6800 | www.PowerfulSignal.com — they’re a national concern who contracts with “local” installers. They quoted $1,320.00/home for labor because their local guy would come over from Atlanta. Powerful Signal was recommended by weBoost. These solutions can work in combination. Just one might be enough. Start with an unlimited, unthrottled, no contract cellular data plan and wireless router. Rough cost is $80/month plus the router at a one-time cost of $250. If you don’t have enough signal at your home, then consider installing two yagi antennas. If that’s not enough consider a Cellular Booster or a parabolic antenna. If you’re comfortable with technology and climbing around on your roof with tools, then you can probably install the antennas and/or boosters yourself. If you’re not, hire a certified professional. Rough cost is $500 for equipment and $700 to $1200 for installation. Once you get your Internet data running at a decent and reliable speed, you might want to consider “cutting the cord”. You might be able to save a bunch of money by disconnecting DirecTV, Dish Network, AT&T DSL, etc. Then reuse a portion of that money on services like Sling TV, Netflix, Hulu, DirecTV Now, and Amazon Prime Video. When you’re ready Google “How to cut the cord and still watch live TV”. New articles are being published regularly. The ideas in this write up came from an number for island residents and online sources. Thanks should go to David M., Faith S., Michael L., Marcia D., Mark P., Keith M. and others. If you have more suggestions please share in the comments below. The POA is continuing to look at ways to bring even faster signals to Dewees. Perhaps 5G Cellular will meet our needs in a few years, perhaps not. It’s too early to tell. Again, if you have suggestions, please let me know.